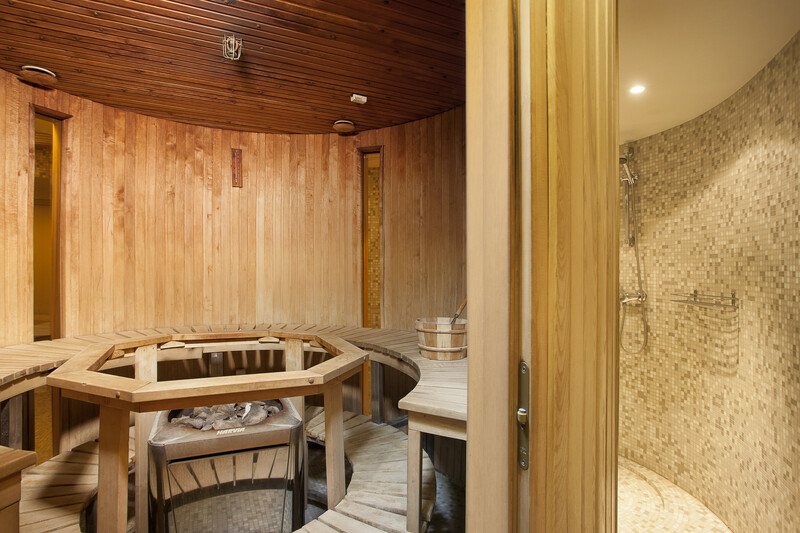 Have you ever been in a round sauna? 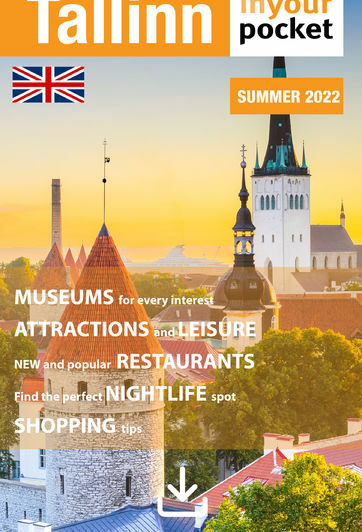 Here's your chance! 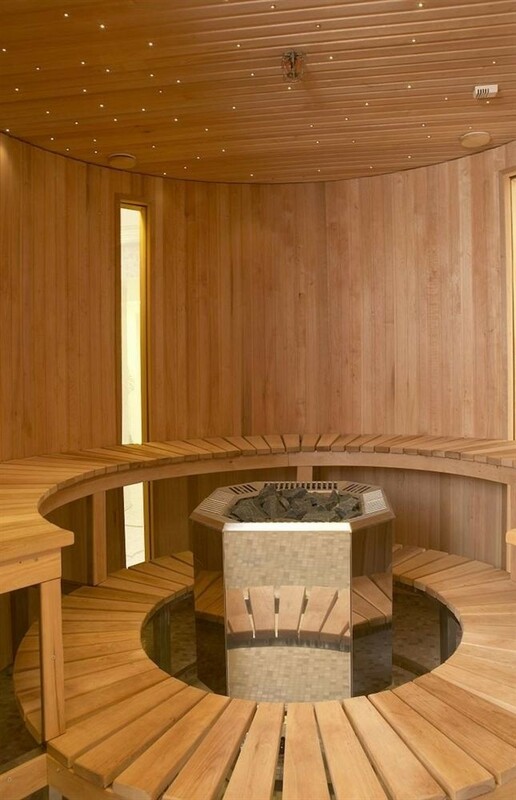 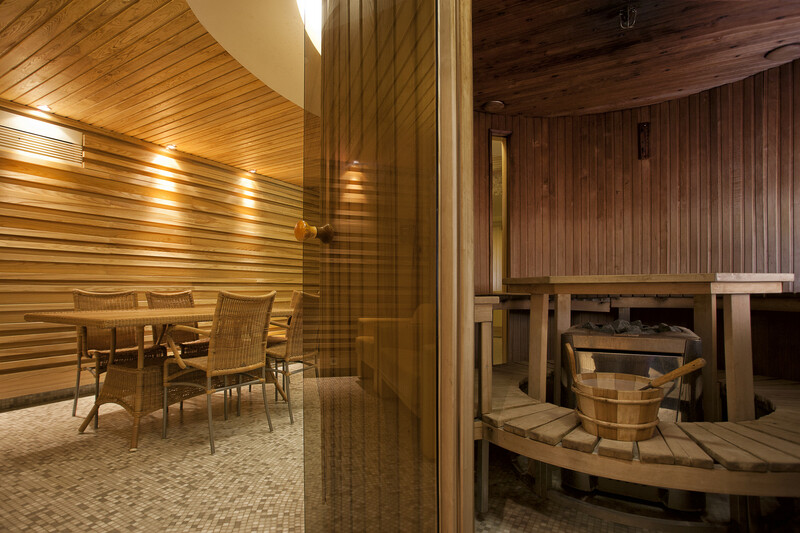 The Round Sauna can accomodate up to eight people in a true Finnish sauna. 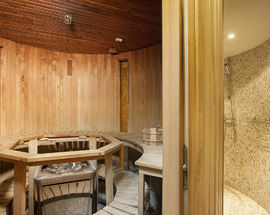 The price is €35/hour. 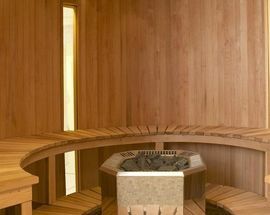 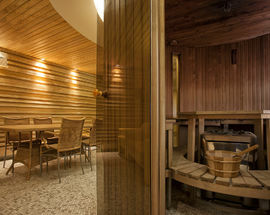 The sauna is connected to a private room, and offers a special sauna menu.